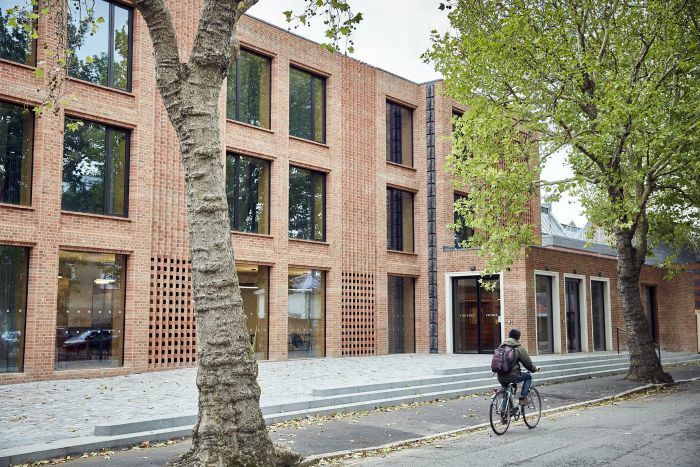 The 2018 Dorothy Garrod Building creates a new façade and entrance to the College along Sidgwick Avenue. 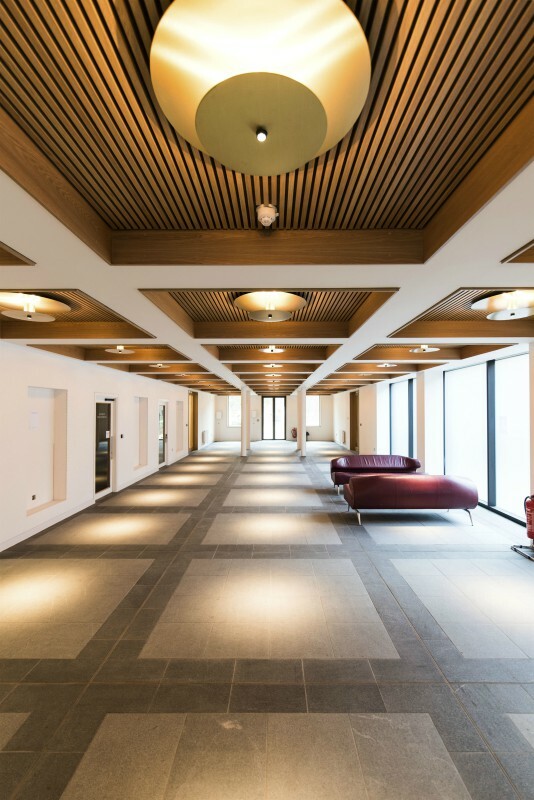 The Dorothy Garrod Building brings together teaching, research, conference and social space downstairs, with outstanding student accommodation on the upper two floors, all topped by a roof garden with a glass gym and meeting space. The building opened in October 2018. 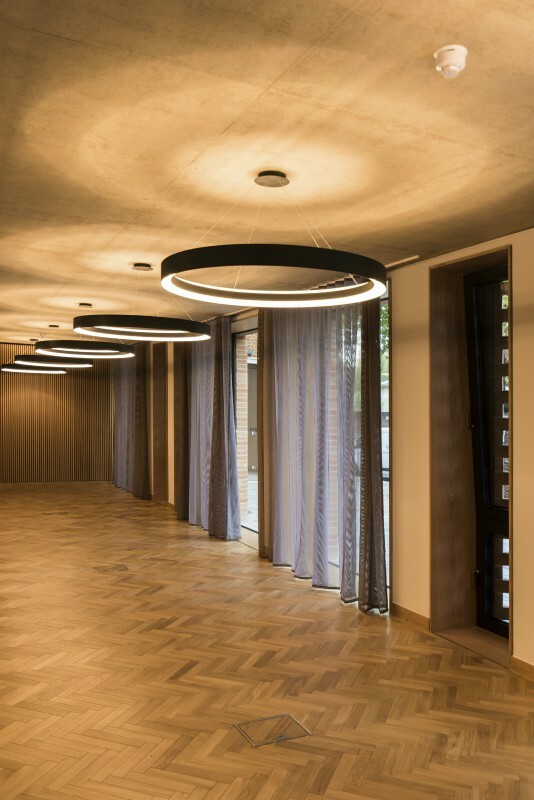 The Dorothy Garrod Building adds another stunning link into the chain of buildings that encircle the Newnham College Gardens. The new building was designed to connect to our existing buildings, while at the same time making a strong statement about the College’s future vision. Many of the subtle details reflects back an aspect of the Champneys Buildings around it, and the huge windows offer views out onto the gardens. 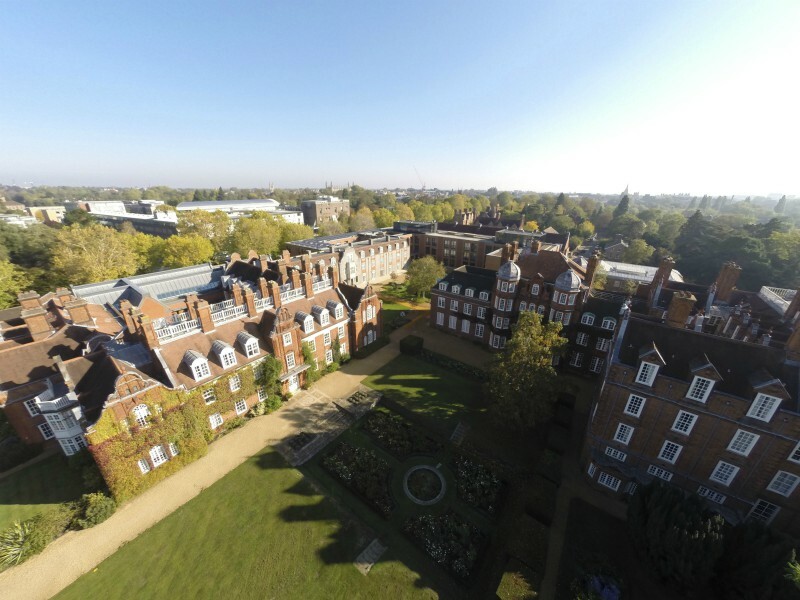 The external facades are made up of handmade red brick, carefully blended to match the Champneys Buildings elsewhere. The windows and doors are bronze anodised, chosen to reference the iconic Clough Gates. To break up the facades, ‘curtains’ of decorative dogtooth brickwork stripe down the walls, picking up on the strong verticality of the Pfeiffer Arch and the Fawcett Building. 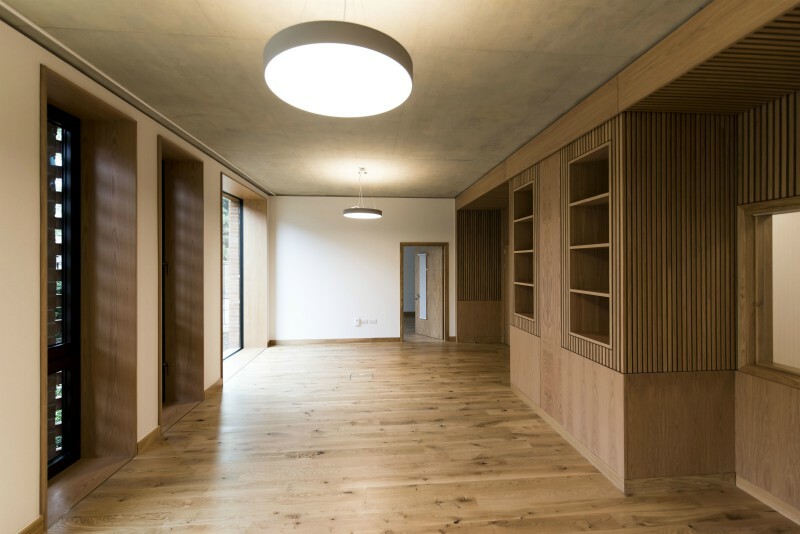 On the upper floors, the en-suite bedrooms are deliberately high and airy (2.9m high), with huge windows, built in bookcases, and oak floors. 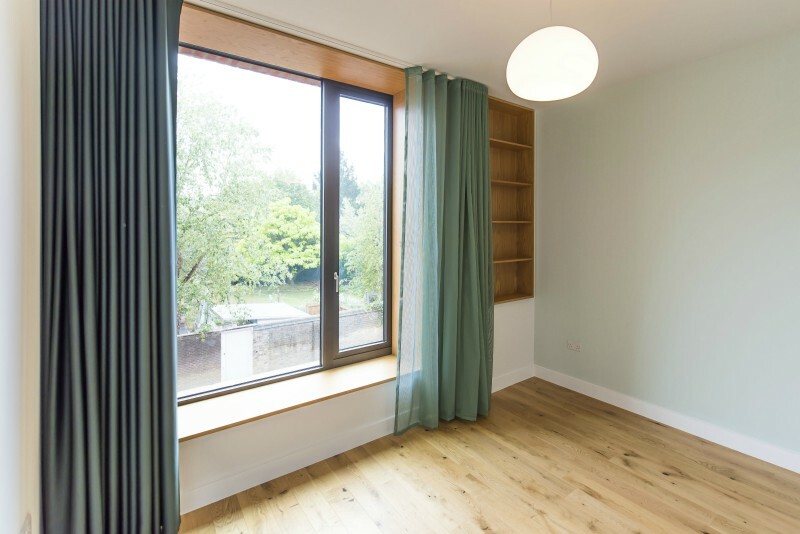 Outer-facing bedrooms have window seats, and garden-facing windows have double doors and a Juliet balcony. 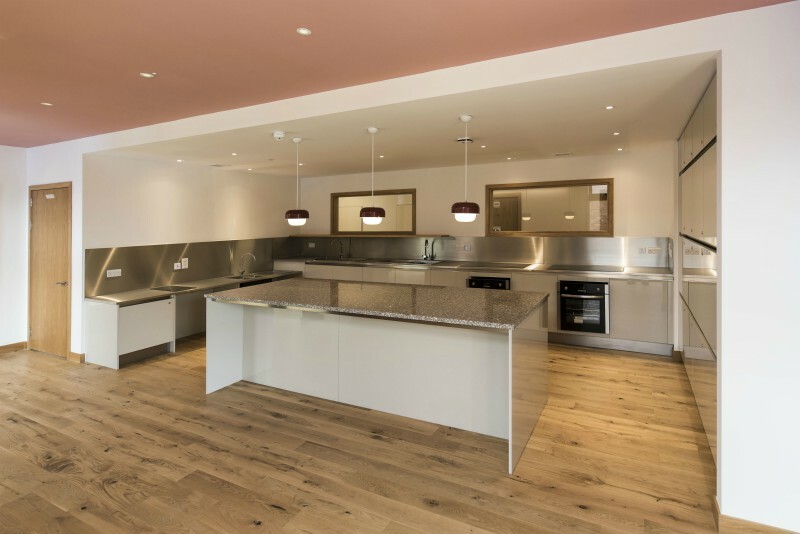 The social kitchen / dining spaces are a wonderful place for friends to get together, and will encourage new friends to meet. 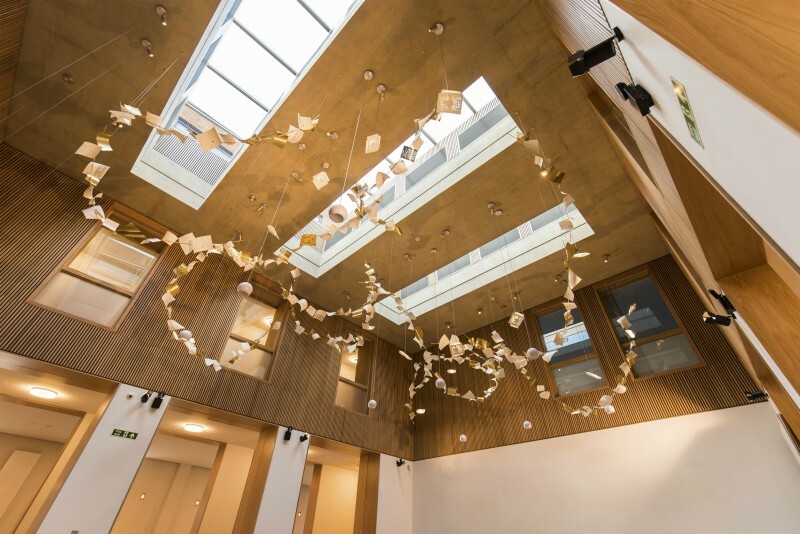 The College worked with Walters & Cohen Architects, BHSLA Landscape Architects, Savills and other specialist consultants to produce a design which complements the existing elegant and inspiring environment with a high quality, flexible and energy efficient new building, and enhances our gardens.